RIM shipped a whopping 12.1 million BlackBerry phones in the second quarter of 2010, nearly twice as many as it managed in the same period last year. The BlackBerry has been a global success for the Canadian phone giant, and the 12.1 million has played a bit part in a revenue rise of 31 per cent. Interestingly, RIM is now saying that it has shipped 115 million smartphones to date, and expects to ship another 13.8 to 14.4 million more in the next three months. The figures have been helped by the huge success of the BlackBerry Torch, which has been the RIM's most successful GSM smartphone launch ever, despite not winning critical acclaim in our BlackBerry Torch review. 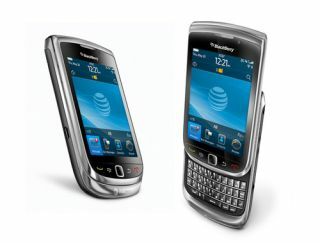 The BlackBerry Torch has yet to be given a UK release date, but is expected to take its bow on this side of the Atlantic on October. It hasn't been all plain sailing for RIM this year, however, with the company having to defend itself from government claims that it should not be excluding them from its encrypted data.